Accept SSL fingerprint (23:E5:B3:5E:26:16:88:44:8B:DC:F1:DC:97:C7:D8:35:8B:3D:FE:08) for host 192.168.8.20 as source type. 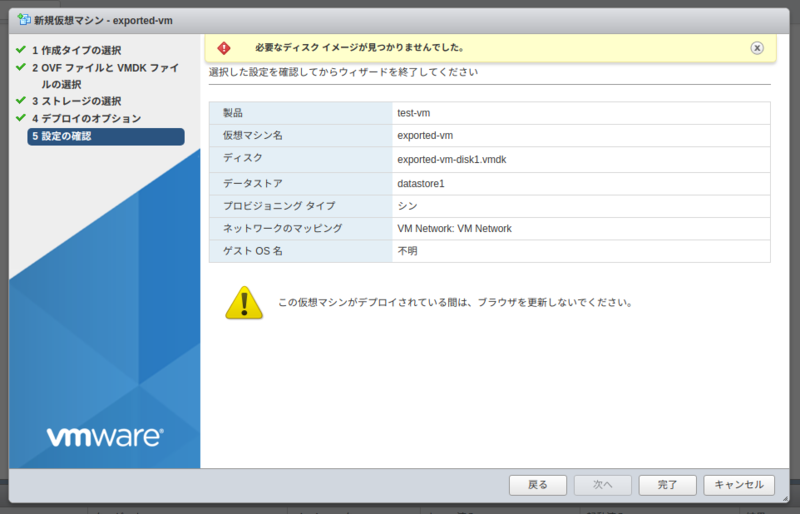 - No manifest entry found for: 'exported-vm-disk1.vmdk'. fixed and must be specified when using a vi destination locator.